Transition Culture is back! After a month of Cornish beaches, hemp lime plastering, wood store-building, cinema visits, catching up with friends, storytelling festivals, campfires and wrestling with cabbage white caterpillars, normal service is resumed. Nice to see you again, you’re looking well. I’m kicking off again with some reflections on John Michael Greer’s ‘green wizardry’ concept, which he calls “the current Archdruid Report project”, which will no doubt generate some interesting debate. Greer, for those who don’t know, is a blogger and author whose work I usually admire greatly, whose excellent blog can be found here. 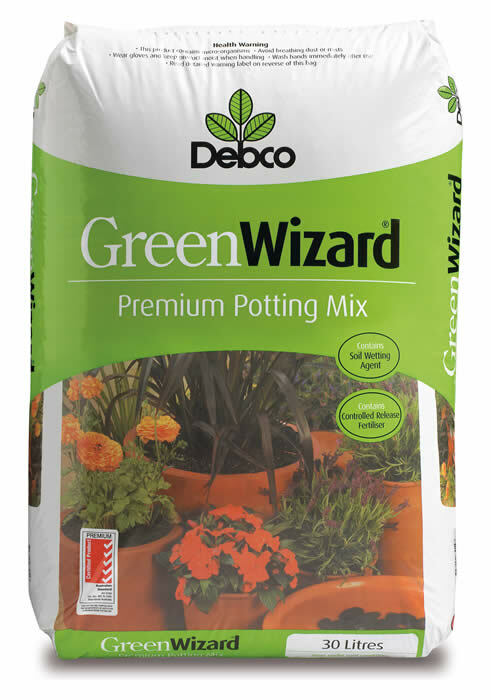 So, first question, what is a ‘green wizard’? Greer defines green wizards thus, “individuals who are willing to take on the responsibility to learn, practice and thoroughly master a set of unpopular but valuable skills – the skills of the old appropriate technology movement – and share them with their neighbours when the day comes that neighbours are willing to learn”. The idea, as I read it, is that any notion of a co-ordinated response, a la Heinberg’s ‘Powerdown’, a scenario where communities self-organise and work with, or without, their local authorities, to start the rebuilding of that settlement’s resilience, reduce its oil dependency and carbon footprint, is now for the bin, condemned as impractical and unrealistic. Greer appears to have given up any notion that such a thing might be possible, stating “a movement is a great thing if you want to hang out with congenial people and do interesting things together. It’s just not usually a good way to make change happen”. What Transition and Green Wizardry have in common…. Both Transition and green wizardry are based on the ideas that peak oil, and peak various other things too, will lead to a future of economic contraction and declining net energy availability, where the communities that are most successful are those that have most successfully strengthened and refocused their local economies in advance. Both (as I understand it) believe in the need for stronger local food networks, more back garden production, more local ownership of key utilities such as energy generation, and for a rediscovery of local building materials, seasonal foods and so on. Greer’s latest post, The Care and Feeding of Time Machines, is a fascinating distillation of useful tips and ideas around season extending, which will be of great interest and use to many involved in Transition. Much of the information being unearthed and rediscovered by the green wizards will be very useful for those involved practically in building resilience at a local level, and it is a very valuable and fascinating project. I do, however, have a few concerns about green wizardry, which I would like to reflect on in this post. Transition is often dismissed by Greer as being a ‘revitalisation movement’, which I interpret as meaning that it is content to tinker around inconsequentially at the edges without doing anything meaningful, revitalising the existing model rather than suggesting anything else meaningful. Again, not the Transition I recognise…. ….the core argument of last week’s post centered on the possibility of building a better future by deliberate planning, and many of the comments and critiques took issue with my suggestion that this is not only impossible but counterproductive. While most of these latter noted that they were participants in the Transition Town movement, the ideas they expressed in that context are anything but unique to that movement; rather, it expresses a consensus that extends through most of the peak oil scene, and indeed, most of contemporary society. Despite its popularity, though, this confidence in our ability to plan the future seems woefully misplaced to me, and the reasons that have forced me to dissent from the consensus may be worth discussing here. Let’s return here to the Cheerful Disclaimer, not I, nor anyone else involved in Transition would argue that it is a strategy that will definitely work, that Energy Descent Plans, community visioning, or any other ‘deliberate planning’ approaches are guaranteed to work. Transition is a collective experiment, an invitation to be part of a huge research project, learning through doing. It is not so much the ‘mass movement’ that Greer rails against, rather it is people around the world working at a community level to see what works, and what is appropriate in a range of contexts (urban, rural, developing world etc). My point is that it is easy to present a picture of what Transition is that suits the argument you want to make. What feels unhelpful though is to use green wizardry as a way of dismissing or brushing aside Transition, when both do different things, appeal to different people, and are needed simultaneously. So what could be the limitations of the green wizardry concept? Another of Greer’s recent posts, by way of an example of how green wizardry seems to be working in practice, discusses a key issue that a society engaged in adapting to energy descent will need to address, namely peak phosphorous, and then gives Greer’s reflections on the matter, followed by a list of suggested resources. Greer is particularly keen on books from the ‘appropriate technology’ movement of the 1970s, suggesting that ‘how-to’ books have never been bettered since those times of counter culture, energy crises and xerox machines. I have lots of books from that time on my shelves. Indeed, in my early 20s I hoovered them up at car boot sales, second hand bookshops, wherever I could find them. I still have most of them, John Seymour’s books, a great little book on urban gardening called “Your Home Grown Food”, gems such as “Common-sense Compost Making”, “The Self-Sufficient House”, and little booklets on making your own windmills and solar panels. When I moved to Ireland I picked up many more at house sales when people who were the ‘back to the land’ generation of the 1970s had house clearances, and threw out loads of great little books on beekeeping, making your own yeasts and coracle building (in most cases I was pretty convinced they had done none of those things…). I remain a kleptomaniac for such books, and covet my collection. I also collect books, when I can find them, from the 1940s/1950s, Dig for Victory books and gardening books written by old fellas who grew up on allotments and grew leeks up to their waists. There is much that can be learnt from those books, but also a great deal best left behind. I have a lovely old book called ‘Fruit Culture for the Amateur’ by W.F. McKenzie, published in 1947, which recommends DDT as a new insecticide, offering the key piece of Health and Safety advice: “DDT is non-poisonous to human beings and animals”. Whether from the 1940s, or the 1970s, thinking and solutions have evolved. While still often insightful and valuable, much of the literature from the 1970s was based on the idea that you needed to drop out of society, get some land, buy a farm, become as near self-sufficient as possible. Energy books assumed you wanted to be ‘off-grid’, rather than the perhaps less anti-social approach favoured today of generating energy to feed into the grid. Food production books often assumed you had acres to play with, and books on energy in buildings assumed you were starting from scratch. Greer may argue that there were also some excellent urban appropriate technology books, and groups such as the New York Energy Task Force who promoted urban wind power, but there is a danger, I think, in assuming that we can just go back to those books 40 years later and pick up from there. Geodesic domes, for example, big in the 1970s, are largely accepted now as actually being quite rubbish. Windmill designs from then have been hugely improved on since. Our understanding of energy performance in buildings has come on hugely, the materials available are much better, our knowledge of how to use local and natural materials in buildings has evolved greatly, our understanding of soils, gardening systems and so on, have come on since then too (I would rather, for example, rely on Adam Weissman and Katy Bryce’s ‘Using Natural Finishes’ book (published 2 years ago) as a ‘how-to’ for making clay plasters than ‘Shelter’ or any of the other far more speculative books from the 70s). I can’t help thinking that the idea that we will see the rapid onset of peak oil and economic collapse, at which point society starts to unravel, and desperately and reverently turns to a few enlightened souls who are fortunately bravely clutching a load of tatty books from the 1970s, and who are then able, from those curled and well thumbed xeroxed pages, to rebuild the world anew, is somewhat naive. Also, much of that literature is rich on ideas, but very short on measuring, on assessing whether they work or not. Was Ruth Stout, referred to in Greer’s phosphorous post (I too have some of her books), a great visionary, whose straw-based mulch gardening system was a radical gardening breakthrough, or was she a fruitcake, the neighbour from hell, whose system gave initial promising results but which robbed soils of nitrogen and bred slug populations that pulsed across the garden in a frothing gelatinous tide? Do we actually know? Did anyone actually test, measure or evaluate what she did (I get the impression from her fascinating and highly entertaining books that she certainly wouldn’t have done so)? Where are the companion volumes that went back and tested the results of the experiments of the 1970s? How are the first Earthships bearing up? The first underground houses? I suspect that rather like permaculture’s fabled chicken greenhouses, basing our green wizardry on the literature of the 1970s could lead to much that we rely on turning out to be myth, unsubstantiated fables. Some of the publishers who were producing books in the 1970s, some of the books that are on the wizards’ reading lists, are still publishing. The Centre for Alternative Technology in Wales, for example, are still publishing ‘how to’ books, and very good ones too. Books on how to clean dirty water, build your own solar systems, grow your own food. But they are not still just publishing facsimiles of their 1970s output, their current books are much more up-to-date, much better publications. Also, today’s challenges are different. As previously mentioned, many of the books produced in the 1970s assumed the reader was building from scratch, had land, no debts and so on. For most people today, the challenge is very different. How to retrofit a poorly-built house? How to reinhabit a house that is too big for your family? How to get out of debt? How to garden on concrete? Can I make a garden that I can take with me when I move between rented accommodation? I find little of use in addressing those challenges from my 1970s book collection. Do ‘Green Wizards’ build community resilience? This is the ultimate question for me. 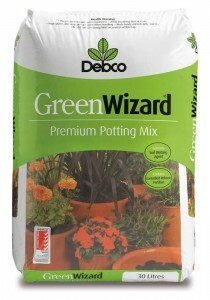 Would having green wizards in my community make it more resilient? I don’t think so. When talking about resilience, I mean the ability of my community to withstand shock from the outside, to not unravel at the first sign of difficulty, and to be able to reinvent itself, using the shock as an opportunity to reimagine and remake itself in a way more appropriate to a world of energy descent. For me, resilience refers to more than the ability to not fall apart when catastrophe strikes, rather resilience is a desirable state in itself, something to strive for because, if done properly, it stands a higher chance of meeting our needs in uncertain times than business-as-usual does. My first point here is that there are already plenty of green wizards in my community, people with a range of skills. Transition’s working assumption has always been that we need a ‘Great Reskilling’, that we have become collectively vastly useless. However, the research I just completed that looked at Totnes found that actually people are far more skilled than we might give them credit for. The survey I conducted showed that 66% of people stated that they were ‘good’ or ‘excellent’ at food growing, and other methods such as focus groups confirmed this, that a lot more people are gardening than one might imagine. They learn not from government programmes, but largely from friends and neighbours, from people, like green wizards, who are just living it and doing it. The idea that we can build resilience by brushing up on canning techniques and swapping knitting techniques, while not wishing to dismiss the importance of those skills, is rather missing the point. My initial thinking (around the time I wrote The Transition Handbook) was that, as shown in the graph to the left, that levels of core resilience skills (growing food, basic house repairs etc) were high in the 1950s, and have fallen steadily ever since, as those skills have become less and less useful. As one oral history interviewee who was a teenager in the early 1960s told me, gardening was, by then, perceived by that generation as “something you did if your Dad caught you”. It is easy to percieve that from that point forward, practical skills have fallen by the wayside, as we have moved from a producer society to a consumer society. In reality, that wouldn’t appear to be the case. Each decade brings a new ‘pulse’ of people learning these skills (see left) , in the 1970s inspired by the appropriate technologists, John Seymour and the whole ‘self sufficiency’ movement, in the 1980s the early permaculture movement, and so on, until today, where there is a huge interest in learning how to grow food, and indeed to relearn a wide range of practical skills. I would increasingly argue that the challenge that we need to address in order to move forward in the best way to build resilience is not through ‘building community’ (a subject I have addressed previously), or through a crash course of community reskilling, but rather through issues of governance and social entrepreneurship, areas where the green movement has fallen short for many years, and which aren’t addressed in green wizardry at all. Where ‘Green Wizards’ Fall short. The ‘Green Wizard’ concept is principally, as I understand it, conceptualised as a response to peak oil. It is based on the assumption that everything is going to unravel very fast and that this is the best way to respond. Fair enough, there will be many different ways people will respond, there is no one-size-fits-all response that will grab everyone, and ‘Green Wizardry’ is, in that context, just as valid a response as Transition, as engaging in political campaigning, protest, standing for office, or whatever. What green wizardry is definitely not, though, by any stretch of the imagination, is a response to climate change. Becoming a walking appropriate technology library is not going to do anything to reduce your community’s carbon emissions. Climate change doesn’t work like peak oil. It isn’t something that builds to one moment of collapse, a point where circumstances determine that suddenly people see that you were right all along. The need presented by climate change is to reduce emissions today, and to cut them as hard and as deep as possible. Our 1970s ‘how-to’ library has nothing to say in terms of measuring carbon, nor how to most effectively reduce it, producing nothing like Chris Goodall’s ‘How to Live a Low Carbon Life’. Green wizardry also falls short because it fails to acknowledge that a transition on the scale it is presumably designed as a reponse to will be anything more than purely a challenge of an absence of practical know-how. Communities faced with the realities of energy descent, whether rapid onset, stepped descent or rapid unravelling will be faced with much more than simply a need for windmill designs and guides to making good compost. It is not purely an outer process, indeed the practical solutions side of it is the easier side. Ensuring clear communication, dealing with conflict, supporting people through the grief of the future not turning out in the way they had spent their lives so far imagining it would, is equally important. Are the green wizards also dusting off 1970’s self help manuals? I also can’t help thinking that there isn’t actually anything very new about the idea. There are already lots of places where people are finding and exchanging this stuff. A good permaculture design course is, in effect, an immersion in much of it, but with an angle of how to practically apply it all. There are web fora where this stuff is discussed, such as the excellent permies.com, as well as organisations like Garden Organic and others, who facilitate the sharing of tips, ideas and insights. 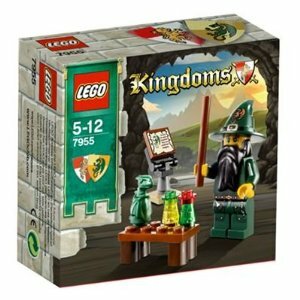 In that sense, I see little new in the green wizard concept. The part that grates most with me is the element of green wizardry that resonates with the things that always hacked me off most about certain elements of the green movement. This is captured in Greer’s statement “… share them with their neighbours when the day comes that neighbours are willing to learn…”. The Green Wizard, with his or her new and indispensible knowledge about appropriate technology, can now sit at the local bar, smug in the knowledge that when everyone else ‘gets it’, he/she will finally be valued, finally gain the appreciation they have for so long been denied. Perhaps a less condascending position might be to assume that within the community a wide range of skills already exist, and we might bring people together physically, rather than virtually, such as at this event, coming soon, to share them. A huge range of knowledge exists in any community, and often community organises in a wide range of ways, many of which we may not even be aware of. Which would do more to make our communities more resilient, green wizardry, or volunteering for a local charity, helping out on the organising committee of a local carnival, volunteering for a local school? It is a serious question. One appears to take a somewhat aloof stance of knowing what a community needs, of knowing the skills people don’t have but need to acquire, the other a more open view which is there to support, observe, interact, learn and offer. It is an important distinction. Unlike green wizardry, the Transition approach requires that we move out of our comfort zones, that we engage with people we otherwise wouldn’t engage with, that yes, we learn skills we otherwise wouldn’t, but we also organise meetings, events, learn how to run businesses, start to take up the responsibility for creating the new low carbon economy, engage, on our own terms, creatively with local governance. The idea that a sustainable, resilient future will emerge only when those around us ‘get it’ and seek us, and our knowledge, out, as argued by Greer, as and when things get dire enough, is a dangerous one, and one, I am concerned, that will get us nowhere. Richard Heinberg, in the foreword to the paperback edition of ‘Peak Everything’, writes “the genius of the [Transition] movement lies in its engagement of the citizenry first”. Nothing new there really, but for me, green wizardry falls down in that rather than engage the citizenry, it falls back on the aloof superiority of the environmental movement, stockpiling knowledge for “when the day comes that neighbours are willing to learn”. If we are to come anywhere near to doing what needs to happen in order to have settlements sufficiently resilient to weather the shocks of the next few years, whether they be related to climate change, resource depletion or economic shocks, we need to scale up our thinking, think bigger, reweave connections and relationships, and start building a new infrastructure where we can. This will not be able to be brought into being purely by communities of course, it will also need local government, national government, and international action. But a retreat to the belief that those of us who have stockpiled practical knowledge now comprise some kind of enlightened brotherhood (or sisterhood), whose role is to wait for the rest of the world to come to its senses and come seeking out our great wisdom, is somewhat dangerous. Rather, I would argue, we need to step out of our comfort zones and think bigger, see that we have a huge amount to learn, not just from dusty appropriate technology books, but also from those around us. I’ll close these reflections with a quote from David Orr’s book ‘Down to the Wire’, which captures the scale of what we need to be doing, whether we call it Transition, green wizardry, or whatever…. “Every increase in local capacity to grow food, generate energy, repair, build and finance will strengthen the capacity to withstand disturbances of all kinds. Distributed energy in the form of widely disbursed solar and wind technology, for example, buffers communities from supply interruptions, failure of the electrical grid, and price shocks. Similarly, a regionally based, solar-powered food system would restore small farms, preserve soil, create local employment, rebuilt stable economies, and provide better food while reducing carbon emissions and dependence on long-distance transport from distant suppliers. The primary goal in rethinking development and economic growth is to create resilience – capacity to withstand the disturbances that will become more frequent and severe in the decades ahead”. I’ve read both posts and have such great respect for both Rob and John Michael Greer. There’s much overlap and synchronicity between the two concepts. For instance, as a member of Transition OKC in Oklahoma, a U.S. state whose economy is historically and currently deeply rooted in the oil and gas industry — although more natural gas at present — I definitely understand where Greer is coming from in theorizing perhaps it makes more sense to take care of one’s self and individual planning, share with neighbors and be ready to help the community when they are ready. However, this principle is also deeply embedded and embodied in the Transition model in several ways. For instance in developing visible practical manifestations (one of the 12 ingredients); or in facilitating the reskilling. It’s virtually the same thing, stated differently. We are implementing these two ingredients in Oklahoma City, a deeply conservative, fossil-fuel dependent place on a small-scale at the time, virtually one small group at a time, one neighbor at a time. But the recognition of what Transition OKC is doing and our mission — to serve as a catalyst for OKC’s transition to more resilient communities — is seen in the growing number of requests from area universities, civic and government organizations — to speak to their groups about the intertwining challenges of climate change, peak oil and a volatile economy, and to encourage each group to prepare their own plans — individually and collectively. One of the things that attracted me to Transition was the lack of dogma — that and its adaptability, the improvisational nature if you will, of the model, the ability to customize depending on locale and to a great extent on the individuals involved. I see nothing in this model that is at odds with Greer’s Green Wizards or vice versa — in fact there’s a great deal of symmetry. I have a dear, long-time friend here in Oklahoma who attended our Transition training and decided that formally being a part of the Transition coordinating team was not for him, but not because he didn’t value the work or ideas — he’s just not a fan of meetings and readily admits he doesn’t have the patience for community organizing. But as he’s a wonderful model for resilience and sustainability in his own personal projects (built his own virtually off the grid eco-hut, gardens, harvests rainwater, etc. ), and is more than willing to share his wisdom with our various Transition projects, conduct workshops, etc. In effect, he’s a “Green Wizard” without affiliating himself as such, who shares his wisdom with Transition OKC as needed. But back to Hopkins and Greer, it is as though these two highly intelligent men are looking at the challenges we face through a large window with two different panes and an adjoining frame. The window is all one piece and the view it offers would not be complete without the two panes — hence — perhaps this discussion and Green Wizards is just Transition expanding, morphing, sending out shoots, as it was meant to. “Letting it go where it wants to go” is after all, one of the Transition ingredients, and, I suspect in the end humanity’s Transition will coalesce not only from the meaningful concepts of these two inspiring men — but from the ideas and practical manifestations yet to come from many women, men and communities around the world. I’ve felt for a long time that the original dueling blogs between Rob, Astyk, Greer, Heinberg, etc… over the nature of Community called out for a face-to-face roundtable debate. A “Council of Elrond” on “What to Do” if you will. I’d really like to see this rather than dueling blogs. Rob’s figure of 66% of people in Totnes being good at growing food is probably very much above the average for a small town in the UK. For those who are unaware, Totnes is a smallish town well known as the hippy-dippy alternative-lifestyle capital of the UK. They are a self-selecing group – people who are looking for alternatives move there to find them. For the average town or village, it might be nearer 16% or 6% who have ever grown a lettuce or potato. Many thanks for a very well-argued and clear response. I find myself in agreement with virtually everything you have written. Clearly Transition, Green Wizardry, Low Carbon Communities, engagement in local politics, green social enterprises, etc. etc, are all approaches that might, hopefully, combine into a viable response. I agree entirely that putting “all our eggs in one basket” would be fatal, and have always argued for Transition as one response, not THE response, not ‘the only show in town’. Heaven forbid. My sense is that this exchange has highlighted the areas where Transition and green wizardry overlap, which has been very useful. Just two things I wanted to pick up on. Firstly, your concern that Transition perhaps perceives any critique as “an assault to be repelled, and any alternative project as a potential rival to be quashed”, citing my response to Alex Steffen which you saw as ‘dismissive’. I do try to respond to most reasoned and reasonable critiques of Transition, as I think that it is through such conversations that ideas become more robust. When doing so I am very mindful to not be ‘dismissive’. In practice, Transition groups work with a wide range of other groups, other organisations, and other projects, leading to some fascinating partnerships and cross-pollenation of ideas. The other thing was your statement that “the main impacts of climate change are further down the line” than those of peak oil. That may be the case where you and I live, but of course there are parts of the world where desertification, disappearance of rivers, the melting of permafrost and so on are already having far worse effects on communities than peak oil is having on ours at present. Putting the impacts of climate change into the future can mean that we also assume that we will be able to respond to it in the future too… when the reality is, of course, that it is now that we need to be cutting emissions and cutting them hard. Anyway, that said, it is clear from this exchange, and from the comments it has generated, that there is a huge amount of common ground between the two projects, with many people engaged in both, and I very much look forward to seeing how this symbiosis will develop over the coming months and years. Green Wizards in Transition, preparing for their whole community to lean over the fence and ask “what’ya doing?” – why not? that’s introduced me & so many other folks to Greer & Hopkins, these two articles, and so many other ones over the years). Thanks for a measured and thoughtful response. I’m sorry to say, though, that Blogger — which is having problems again — seems to have eaten the copy you posted to The Archdruid Report. If you’d be willing to repost it there, I’ll put it through again! I am active in Transition Carrboro – Chapel Hill in the USA. Indeed, Greer’s Green Wizard work does not do much to address issues of resilience and community building. But it doesn’t try to or pretend to. In other words, he is not trying to do what the Transition Movement is trying to do. His concept is based on different strategy, not different values. I think his approach should be appreciated. We are seriously going to need some experts on lost arts. Anyone reading this know a good blacksmith? down at the bottom, where nothing effects future outcomes, where nothing counts basically, millions of small people debate the best way to live happily in the world. Up at the top, where every pen stroke drastically effects the future. Where every meeting between two men counts A select group of a few hundred take positive action to ensure their wealth and happiness at the expense of the little people. They impose taxes on rainwater, they loot the banks where the little people have their savings, they enslave future generations with huge debt burdens. So what is the best way for powerless little people to ensure their future happiness in the face of all this? The answer is simple, copy the elites’ Become a little version, with your own central bank full of gold and cash, with no debt. And hide in the shadows of society like they do. Some of the richest men on earth live humbly on vinyard estates, hog farms and small islands. They don’t flaunt their wealth and they will never suffer of any need because their needs are met by a fraction of their wealth. Please talk about something useful and not waste electricity on “debates” between you and someone with a somewhat similar perspective to yourself. Highly educational and provocative. Bravo to inter-generational dialogue and all that can be learned from it! Hey Rob, I’m also a fan of both this blog and The Archduid Report. Next time you criticise, leave out the goofy pictures, they took the criticism to the level of snark. The one downside to Transitional Communities, is that you have to have a community. At best I belong to a “sub-culture” one made up of Unitarian Univeralists, biodynamic farmers, Pagans (some interested in sustainable living and many could care less), and people who listen to NPR, spread out over two states. I’m also in a very “head in the sand” area reguarding “Peak Everything”, and I have no stomach for politics. I’m happy to teach anyone anything from canning to butchering chickens to crocheting, but few are asking, and prosteltizing isn’t my thing. You can lead a horse to water but you can’t make it drink. I’ve got lots of work to do educating myself…when the community gets thirsty, they can knock on my door. My Transitional Community is a spread out “sub-culture” but it’s all I got. And yes, I will be smug. I was really excited about the Transition movement until I actually tried to join it. I don’t know if it’s particular to where I live (Northampton, MA) or if it’s common to Transition Towns or Initiatives everywhere, but the best word I can think of to describe the local Transition group is NON-inclusive. I attended maybe five meetings before giving up completely in exhasperation. At each meeting I tried to offer up my own ideas for “awareness-rasing” and “community-building” but they were all rejected in favor of enforced “fun” and some kind of unspoken, unwritten law created by a secret committee, which made it clear that only some people would be included in this “movement”. The insane self-proclaimed “guru” of the group, Tina Clarke, insists that the number one priority must be “diversity” of skin color and that nothing should be begun, in terms of actually doing anything, until a full rainbow is represented in the circle of extremely uncomfortable folding chairs in the borrowed space in which the group meets whenever it can get it together enough to borrow a space and then remember to announce the meeting. I’d be all for a nice, happy rainbow, if it weren’t for the fact that Northampton is diverse in all sorts of ways but not in terms of skin color. And diversity of opinion is NOT WELCOME HERE. I am not a person who can cope with “fun” games at meetings, and I came to the movement already well aware of many things including how bio-diversity (and other diversity) leads to resilience. I spent years educating myself before stumbling across this movement, so it was really deflating to realize that if I joined I would be expected, nay, FORCED to do horrible things like play “games” or “partner up” to share “my impression of what sustainability is” or whatnot. Apparently some people were doing something, but what it was was kept secret and only the secret members of the secret Initiating Committee were allowed to know. Although I was not privileged to enjoy (joke!) a personal introduction to Transition when I joined (nor did I want one, as I read the Handbook and that seemed like more than most in the group had done) I did notice that one person was taking new people into another room and “introducing” them before letting them join the meeting. I asked what it was she told them, and also what she told all the people in town to whom she passed out flyers, but I was refused an answer. It wasn’t too long before I was so disgusted with Transition (or its local incarnation, anyway) that I called my friends (including a Geologist and other useful sorts) and let them know that they joined at their own risk and I was to be in no way associated in their minds with Transition. So my big question is this: if the point is to build community resiliency, what happens to the people who just can’t stand Tina Clarke? Or those who, like myself, vomit at the idea of enforced “fun” (I will walk out of ANY meeting or presentation where the main selling point is that joining an effort is going to be FUN!”) I have never in my life enjoyed “fun” at gunpoint. I want to be left alone to brood or make snarky comments, if that’s what I feel like doing. I am not looking for a new social club or a bunch of insipid “positive” types with whom to waste my precious free time. What happens to all the other people like me who vomit at the idea of joining something claiming to be so “positive”? I get that no black people or other “people of color” can be excluded from Transition, but what about the rest of us? The cheerfulness and “optimism” of (Northampton) Transition leaves me cold and grumpy. If I want optimism I can just walk down the street and bump into random smiley-people. What I need is a place to be myself. And I’m not the only one. So do we have to build our own, separate, parallel resilient communities? That’s what I’m thinking I’ll have to do. In fact I am starting a group called “Collapse Northampton” dedicated to community survival. Yes, that’s right, I want to survive too. And I would like to do it as part of my own community. I would like my community to survive. But the cheery thing is just – YUCK. I make my own fun. Please don’t force it down my throat. Hey John and Rob: Don’t forget the Yes Men, either.